I wanted to share with you all a few of my favorite pieces by a couple of my favorite artists. I’m not going to go heavily into the course theory as let’s face it, it’s the end of the semester and we’re all a little fried from the amount of work we have to do which makes tasks like these hard. 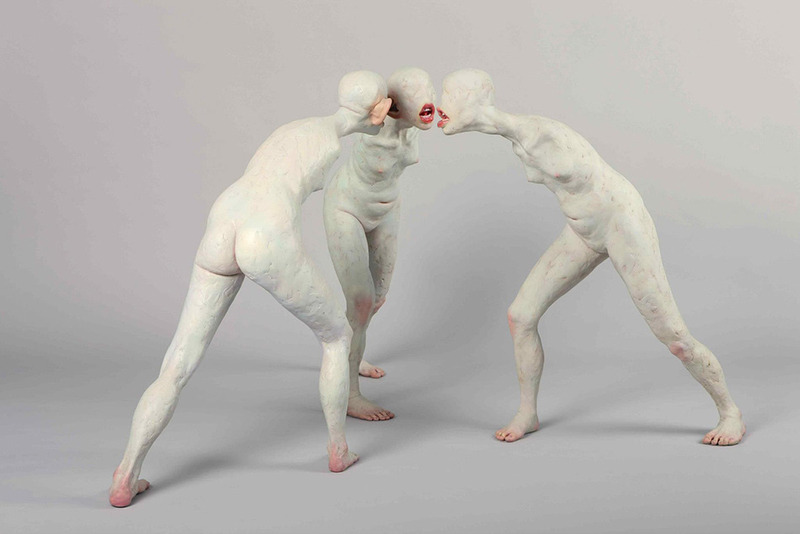 Choi’s sculptures are a fantastic display in my opinion of bodily grotesque. 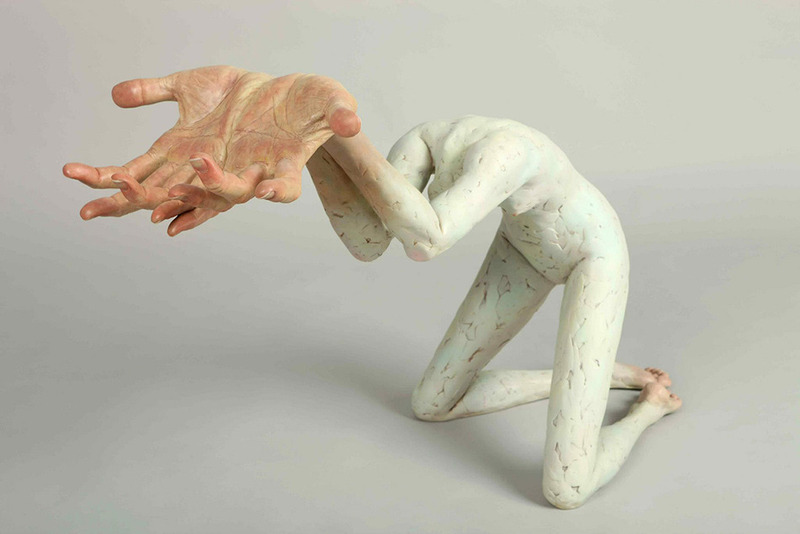 Removing specific body parts from the whole of the body and displaying them all together (Such as the hanging heads and wings out of hands above) leave a particularly uncomfortable feeling with the viewer. The same with the over exaggerated size of bodily parts (such as the large hands and no head directly above,and large mouths and ears with no arms or eyes). Order and ordinary understanding of the body have been disrupted and are therefore abject. 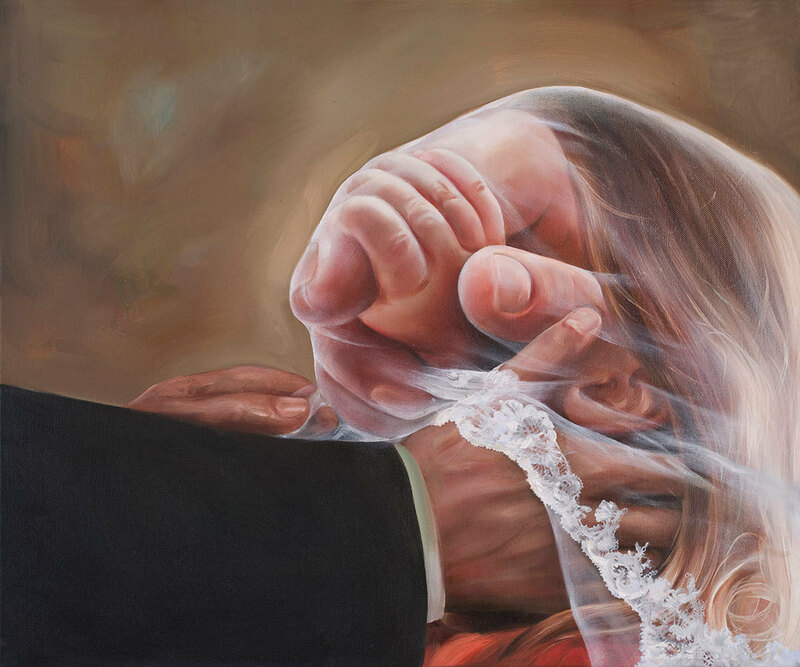 In the above photo’s the paintings depict many images of the placenta surrounding fully grown individuals, as well as other images of internal organs being represented on the outside of the body. The boundary between the self and the womb of the mother has not been broken within these pictures and it’s quite uncomfortable to view. 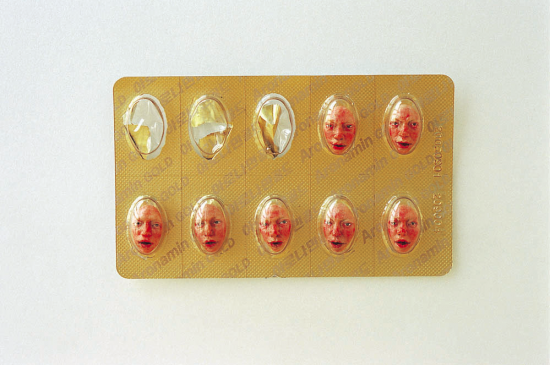 Lee Dong Wook’s art is highly acclaimed as being one of the most grotesque and repulsive in this particular artistic field because of his use of bodily parts in place of every day objects. 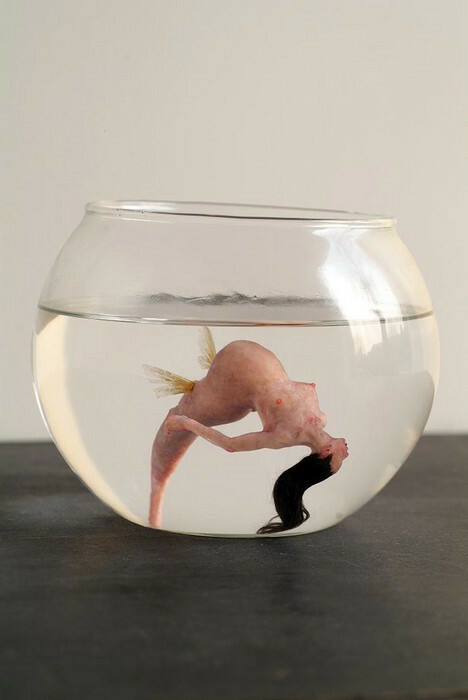 The expressions of the individuals in his tiny sculptures are haunting to say the least, but the one that I find the most repulsive of all of his work is the image i included above of the pregnant mermaid woman. The image of pregnancy within such a grotesque context somehow makes the piece that much more disturbing. Lastly I included two particular sculptures which I find the most disturbing. The elongated nature of the limbs of these two individuals leave me often feeling repulsed yet fascinated. I remain a fascinated victim of this bodily grotesque, trying to see where one limb ends and another begins. If you look closely you’ll see that many of the limbs look like spindly tree trunks. 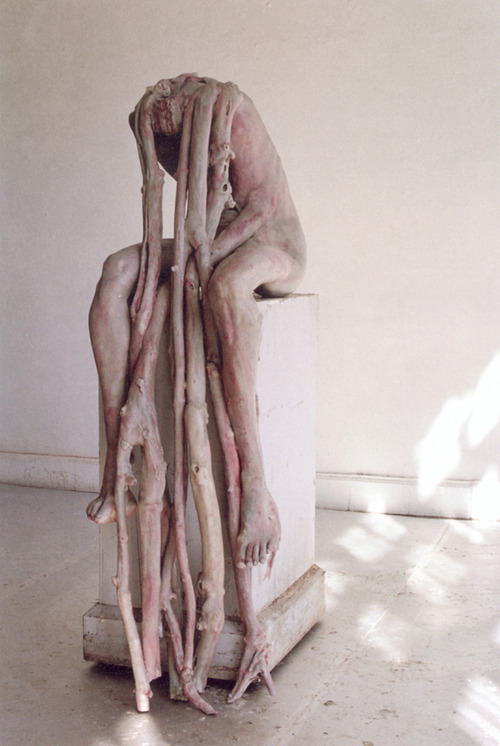 The fact that nature is being brought into this sculpture and is being intertwined with a human form connects two elements of reality that should not be seen as one. Truthfully, as an artist myself who paints and sculpts, these particular artists interest me due to the way that they connect aspects of humanity and inanimate objects that surround us, leaving a huge feeling of ambiguity that takes a long time of close observation to truly grasp. I would highly recommend looking at more work from these artists if you are not familiar with them. Having never seen these artist’s work before, I am very grateful that you introduced these particular pieces to the class! 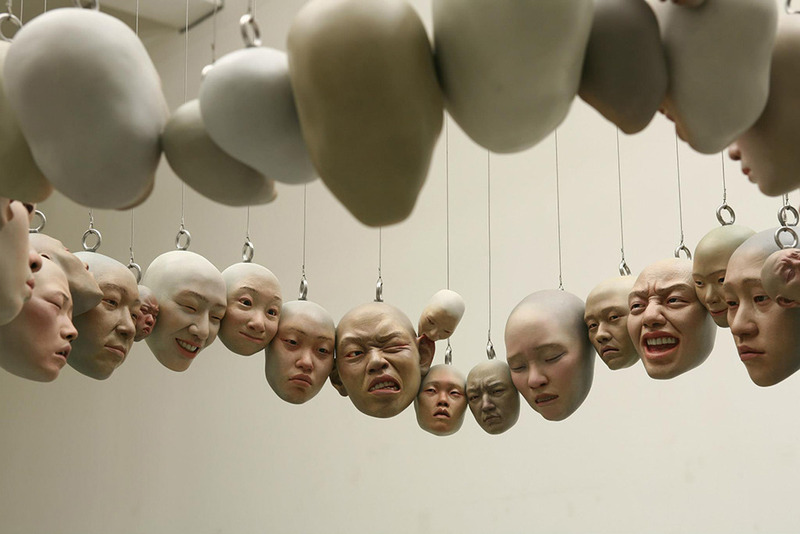 I completely agree with what you said about the grotesqueness that is present in the connection between humanity and inanimate objects, and personally I find Lee Dong Wook’s artwork to be especially disturbing. 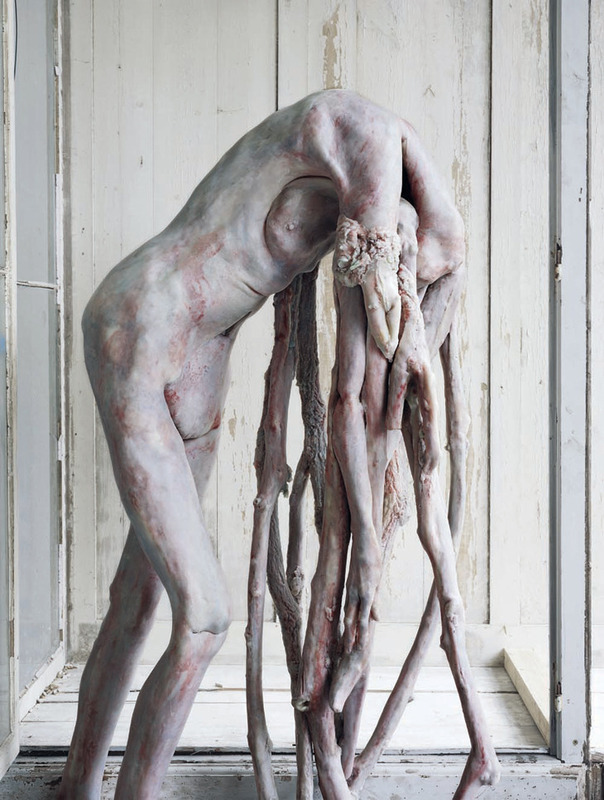 The Berlinde De Bruyckere sculptures remind me of Salvador Dali’s painting “The Elephants”, featuring elephants with unnaturally long legs, and other paintings of his done in the same style. 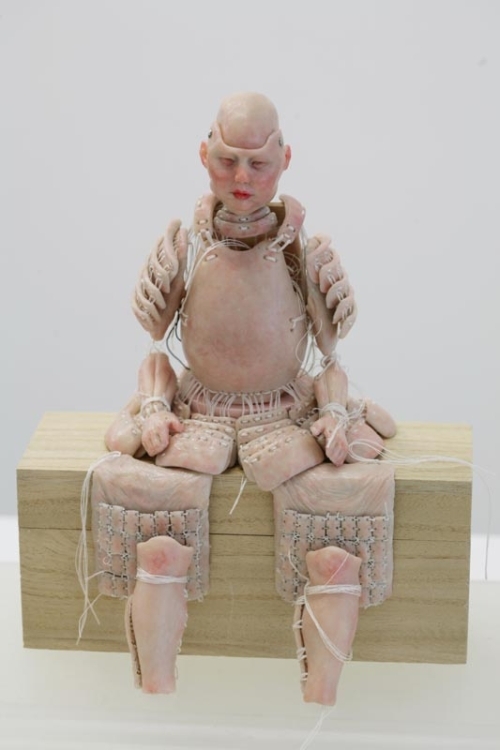 However I think the Bruyckere sculptures that you’ve shown here provide a better image of the bodily grotesque because they display the concept using human limbs rather than animal bodies. I really enjoy all the images you included here. I reminds me of the presentations made in class about the grotesque in art. Here we see a different take on the grotesque, by magnifying and deforming elements if the body. There also is a deeper message withing eat of these images and that message alone can be depicted as grotesque. These images portray a great example of the grotesque in art as discussed in class, and I enjoy the fact that you used images that we have not yet seen. These are really cool. There’s something about them, like they creep me out yet I can’t quite look away. Some of them remind me of some of the creatures from the Silent Hill games (uggghh fine, or movies), specifically the mannequins from Silent Hill 2. This is a great collection of grotesque art. There are some really disturbing and unsettling images. I find the baby grenade particularly unsettling. The babies’ bodies are deformed, squished together, and they melt into one another. You can barely make out the forms and some of the faces resemble fetuses more than babies. 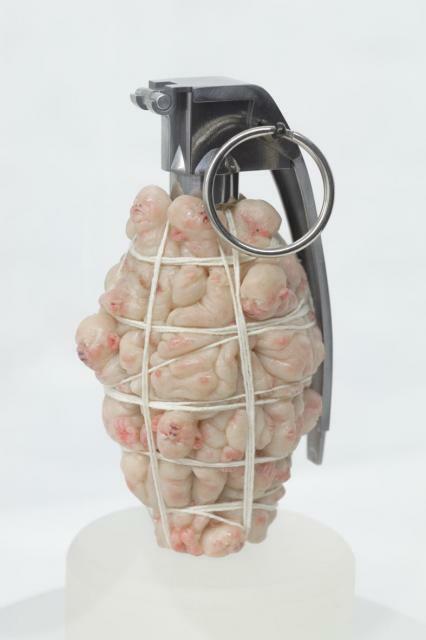 The bodies of new life come together into a grenade, a symbol of death and destruction. This confuses and revolts the senses. The wings made out of hands is quite an interesting work. The wings are a symbol of beauty and freedom. This picture should be considered beautiful, but it isn’t. I think it’s because it also reminds us of animal parts hanging in a butcher shop window, and nobody wants to imagine humans being butchered and hung up by wires. The same could be probably said about the following picture with the human heads hanging from wires.